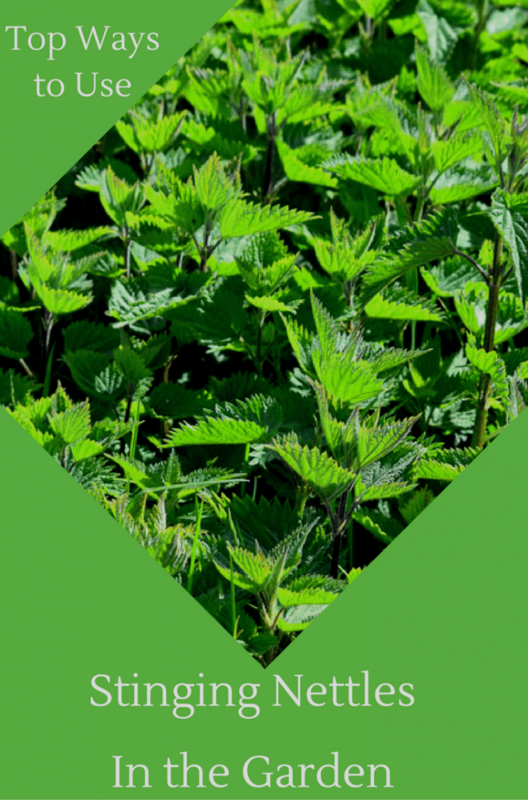 Stinging Nettles tend to get a pretty poor rap, but they can be beneficial to the gardener is so many ways, so read on before you pull them out and throw them away. I have put together some great ways to use them to benefit your garden. A plant that stings you is never going to be a popular plant for the garden. But despite their stinging properties, the pros of having nettles nearby, far outweighs their painful, rash inducing touch. Stinging nettles are rich in nitrogen which is one of the most important nutrients that plants need to thrive. Rather than buying nitrogen feeds from the garden centre, you can make your own using nettles. Take a large container and place as many harvested nettle plants into it as you fit, weigh the nettles down with something heavy and cover with water. Leave the container for a few weeks and you’ll have a nitrogen rich feed you can use to feed your plants, dilute the feed with water before application (approximately 1 part feed to 10 parts water). I won’t lie, this feed stinks, so don’t keep it close to the house! Chop the nettle leaves up and mix them into your compost heap (leave the roots out). Nettle leaves help speed up the composting process making it decompose quicker so you can use it in your garden. Flies aren’t keen on the leaves so take advantage of this by hanging bunches in doorways to stop them coming inside. You can mix the bunches with lavender because they hate that too! Ladybirds like to lay their eggs on nettles and caterpillars love to eat them, which makes them the perfect attractor for these helpful garden creatures. They will in turn help to rid your garden of pests such as aphids. You can use them in the kitchen too! There are loads of recipes out there for things like nettle tea, soup, edible greens and even beer! They also have medicinal purposes and have been used as a natural remedy to treat things such as arthritis and allergies. If you do happen to get stuck by nettles, it isn’t just dock leaves that you can get some relief from nettles sting. Try mint leaves, toothpaste, rosemary, sage or even the milk from the nettle leaves themselves! Do you have any great uses for stinging nettles? Comment below.